Killian Carroll & Daniel Cordova scheduled to play in Bob Caples Memorial 3-Wall Tournament June 8 & 9, 2019 in Cincinnati, OH. Killian and Daniel to hold FREE clinic(s) on Friday June 7, open to tournament participants and non-participants. Click here for entry. 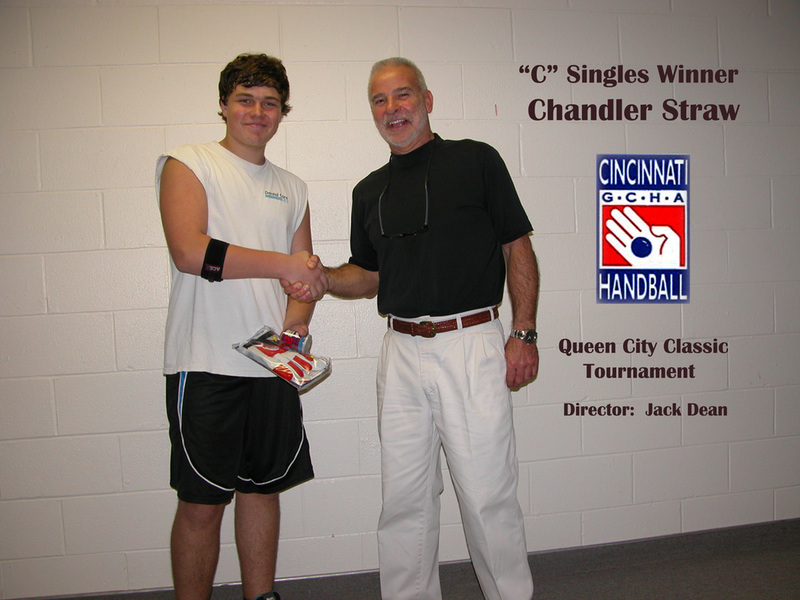 2019 Cincinnati 3-Wall handball has begun…it won’t be long till the pros arrive (posted 2/3/19). Collegiate Friendly Tournament (2-2-19) was a huge success with particpants from 7 colleges. Mid-America Regional Tournament, March 15-17, 2019. Click here to enter on R2 Sports. 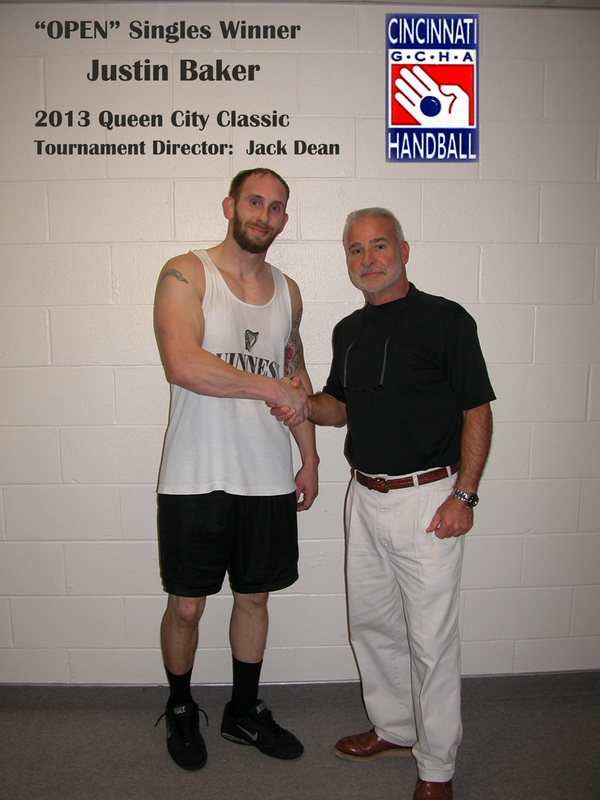 54th Annual Queen City Tournament, Sat. & Sun., Jan. 12 & 13, 2019. Click here for Results. GCHA Annual Party / Meeting Wednesday Oct. 24th at The Athletic Club @ Waycross. Handball starting around 4 pm, party/food around 6 pm. Annual meeting after dinner. UC Handball Club Fund Raiser...Rent-A-Worker...need help around the house or business? Click here for details. 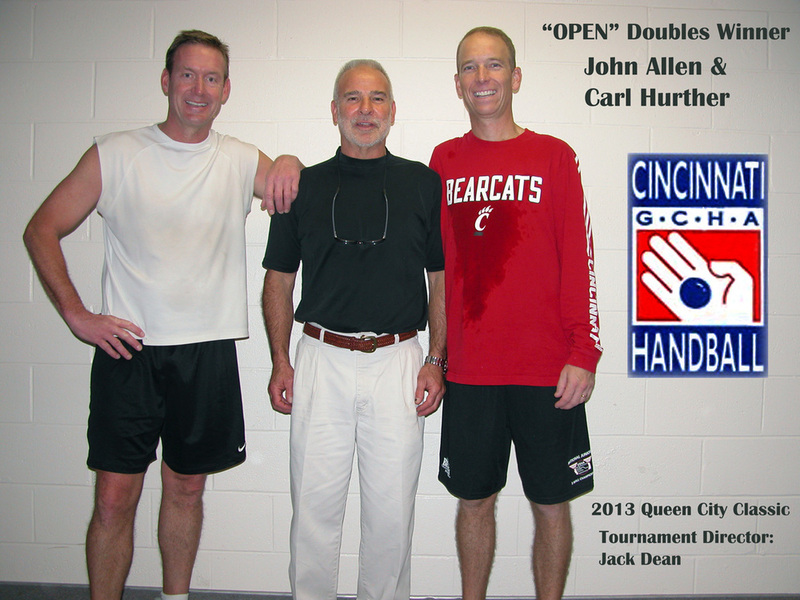 2016 Cleveland Open, Oct 21 & 22. If interested contact Rob Power or Mario Dolciato. 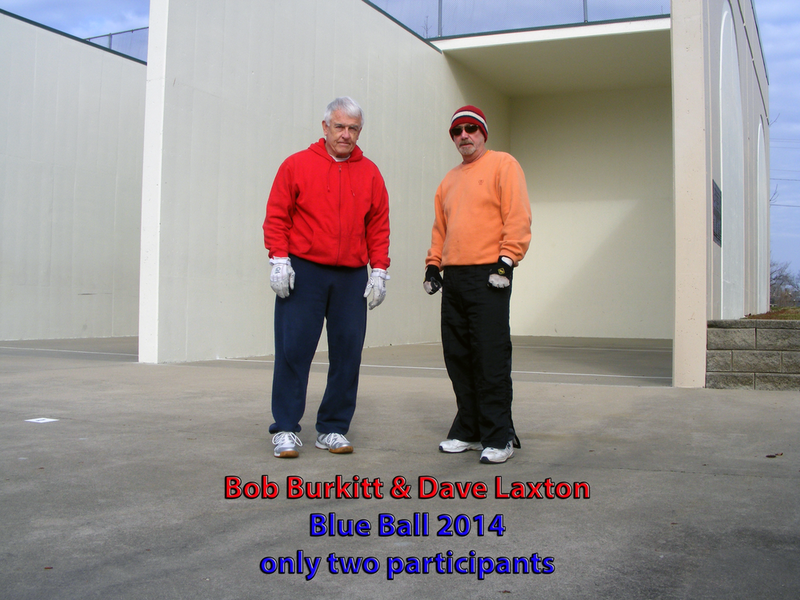 University of Dayton Handball Club Fund Raiser / Mini 3-Wall Tournament, Sat. Aug 6th - click here for details. 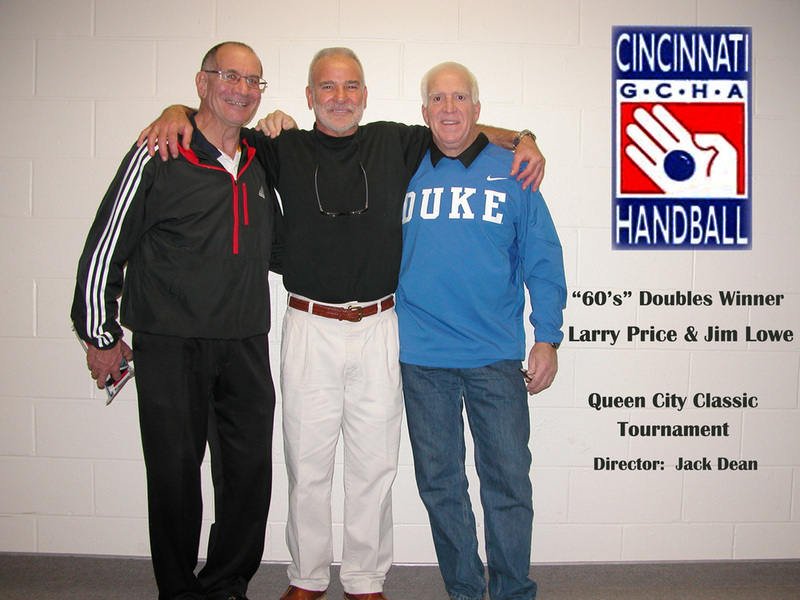 Long-time Cincinnati Central Y player Mike Rohs passes...click here. 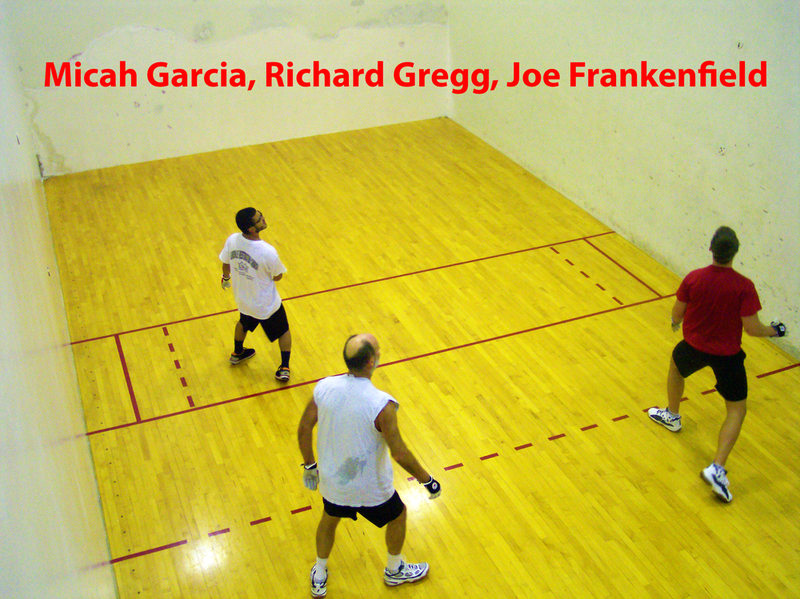 George Lehocky Appreciation 3 Wall Event, June 25th at 10 am at Veterans Park / 3-Wall Courts, lunch provided by GCHA. Please come and show your appreciation for the hard work and tenacity George has shown over the years for the 4th outdoor court and his energy and time spent help making the GCHA the great organization it is. All proceeds go to juniors/youth programs. 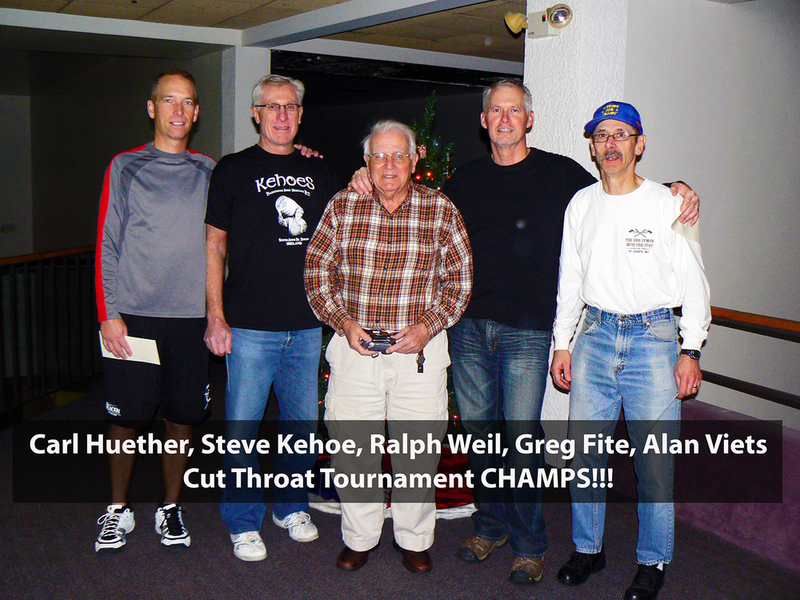 Congratulations to National 3-Wall GCHA finalist: Ralph Weil 80 Doubles Champ, Casey Mayo 35 Singles & Doubles Champ, Phil Kirk & Jim Corrigan 55 Doubles Champs, Ray Mayo 65 Doubles Runner-up, Scott Walker 50 Singles Runner-up. The results of the tournament are now available. 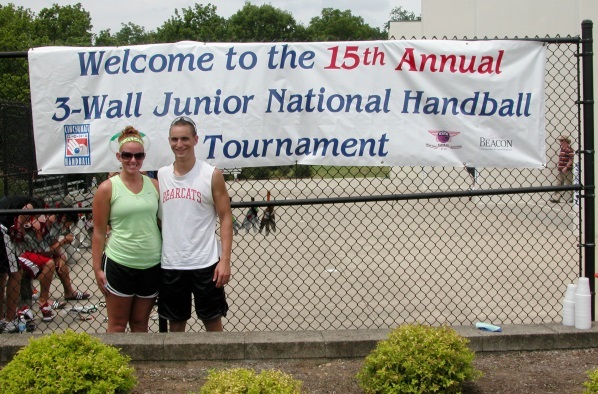 In 2012 the Greater Cincinnati Handball Associate (GCHA) applied to host the United States Handball Association’s National Juniors 3-Wall Championship. The process required completing an application form which asks questions to determine the GCHA’s ability to furnish suitable lodging, obtain committed sponsors, provide highly functional playing facilities, and provide a safe, enjoyable environment for the players. Using their mission statement “…..to promote camaraderie among its members, provide resources to execute tournaments, support youth handball, and maintain the 3-wall courts in Green Township in partnership with the Trustees” as a guide, the GCHA completed the form – met the requirements - and was awarded the tournament.